We all know time can pass by us in a blur. That is why we give special praise to those who slow down, take some time to reflect, and give a little bit of their most cherished resource… their time. #TwitterForGood Day happens twice a year around the globe. This year Twitter conducted over 76 service projects across 16 offices around the world. 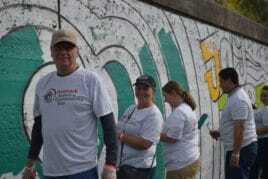 In Chicago a group of 20 “Tweeps” helped UCAN spruce up their conference rooms by painting Chicago neighborhood murals. Twitter was built to foster communication on a global scale because they believe the open exchange of information can be a compelling force for good in the world. The mission for corporate philanthropy at Twitter is to reflect and augment the positive power of their platform through civic engagement, employee volunteerism, charitable contributions, and in-kind donations. In these ways, their company can foster greater understanding, equality and opportunities available in cities where they operate. 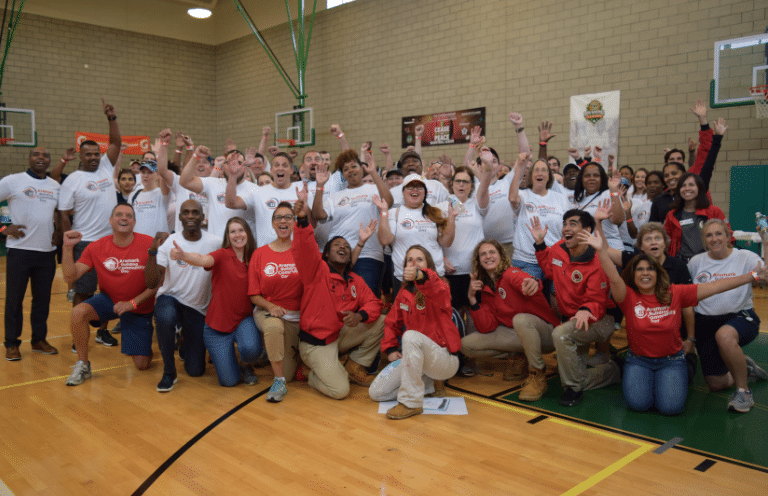 We’d like to give a virtual high five and pat on the back to our friends at Twitter as well as several other stellar groups of volunteers who went out of their way to give back where UCAN needed them most this year. 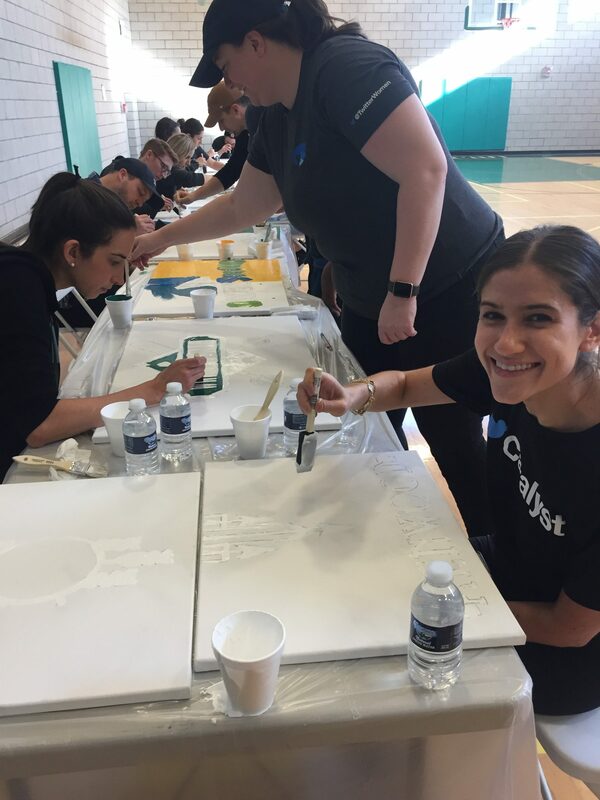 Allstate – As part of an annual conference, 25 senior leaders from Allstate, including UCAN Governing Board Member Mario Rizzo, painted the gym at UCAN Academy Grand, our therapeutic day school in Humboldt Park. 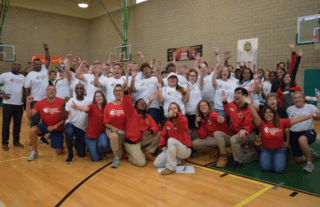 Aramark – In partnership with City Year, over 100 volunteers showed the value of a little elbow grease and beautified UCAN’s outdoor space with new benches, sports equipment and a mural during Aramark Building Community (ABC) Day. Kiser Group and Northern Trust – Donated treat bags and passed out candy to over 300 children trick or treating on Halloween in North Lawndale. Delta Kappa Delta –The ladies of Delta Kappa Delta showed our staff their work is important by rejuvenating our Western Avenue office walls with fresh coats of paint. US Bank – Four prominent leaders at US Bank took time to host a leadership conference for UCAN staff members. 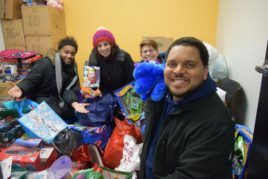 4 Star Talent – Our new neighbors on the West Side collected over 300 gifts and toys to brighten the holidays for our youth and families this season. Catherine Cook School – These thoughtful students proved knowledge is power by organizing a book drive spearheaded by UCAN Governing Board Vice Chairperson Susan McNally Wilde. Sigma Gamma Rho Sorority – Members of the Delta Sigma alumnae chapter collected over 300 pairs of new shoes for youth in UCAN’s Violence Intervention and Prevention Program. There is always more to do and we have the chance to make 2019’s volunteer initiatives bigger and more impactful! If your company, fraternity, social group or school wants to strengthen our Chicago community through volunteerism, please contact Andrea Lee at Andrea.Lee@UCANChicago.org.